After finally watching this film, I was ashamed at how long it had taken me to watch it! 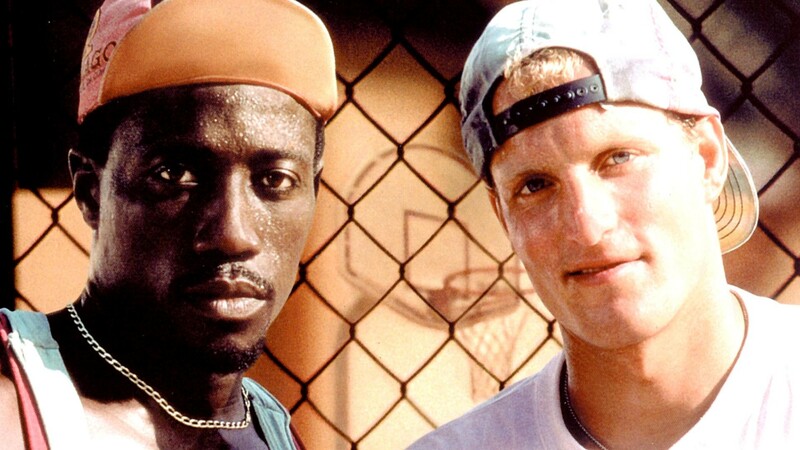 This early 90’s comedy, which paved the way for future mixed race playful films such as Rush Hour (1998), features the two very strong leads of Woody Harrelson (Billy Hoyle) and Wesley Snipes (Sidney Deane). Billy Hoyle, the unassuming basketball hustler, proves himself early on in the film by beating Sidney and his group who clearly “own the court” at Venice Beach, Los Angeles. This leads to an unexpected black/white pairing, where Sidney and Billy team up to hustle their way around the meanest courts in LA. While this film focuses on the aims of two men to better their personal lives through hustling gain, the comical exchange between the two on and off court make this film a hilarious watch! Ron Shelton does a great job of creating a 2 hour long comedy, with a fairly serious underlying story and a great display of basketball talent from Woody and Wesley. A really great watch! Recommendation: A 90’s comedy classic which is worthy of a rental, but is worth catching currently on Netflix!